Did you know that in Italian, there are two different ways to say “I love you”? But they’re not interchangeable. If you use the wrong one with the wrong person, you might end up saying something embarrassing by accident! Learn how Italians say “I love you” to different people in this episode of 5 minute Italian. Come si dice “I love you” in Italiano = How do you say “I love you” in Italian? Did you know that in Italian, there are two different ways to say “I love you”? But they’re not interchangeable. If you use the wrong one with the wrong person, you might end up saying something embarrassing by accident! 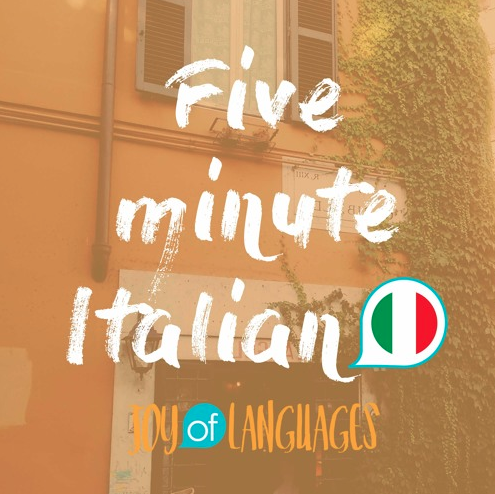 Learn how Italians say “I love you” to different people in episode 45 of 5 minute Italian. Katie: And in today’s episode, you’ll learn 2 ways to say “I love you” in Italian, and more importantly, how to distinguish between them, so you don’t say the wrong one to the wrong person. We’ll have a mini chat about it in Italian, so you can practice your listening, then we’ll break it down in English. K: Matteo, come si dice “I love you” in Italiano? M: Dipende. Se parliamo dell’amore romantico, diciamo “ti amo”. Però, se parliamo dell’amore in famiglia, o tra amici, diciamo “ti voglio bene”. Matteo: Come si dice “I love you” in Italiano. Katie: Which means it depends. So what does it depend on? 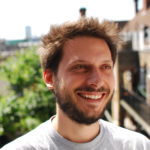 Did you catch Matteo’s explanation? Matteo: Se parliamo dell’amore romantico, diciamo “ti amo”. Katie: If we speak about romantic love, we say “ti amo”. Ti means “you” and amo means “I love”. Matteo: In Italian we literally say “you I love”. Ti amo. Katie: Interestingly, Italians have 2 different ways of saying I love you. Ti amo is reserved for romantic love, so something you’d say to your romantic partner. Katie: But, if we speak about love in the family or between friends, we say: ti voglio bene. Matteo: We know that ti means “you”. Voglio means “I want” and bene means “well”. So the literal translation is “you I want well”. Katie: That’s right, ti voglio bene = “you I want well”. Which probably sounds a little strange! With these kind of phrases, I find it’s best not to worry to much about the logic behind it – because it’s so different to in English. You can just learn it as a fixed phrase – if you want to say “I love you” to family or close friends, stick with “ti voglio bene”. And sometimes you might even come across TVB, which is the acronym of ti voglio bene. It’s kind of like LOL, so it’s a bit silly, but I sometimes use this in a jokey way with my friends from uni. Matteo: The word voglio has the “gli” sound in it. If you want to learn more about how to pronounce it, you can go back and listen to episode 5: how to pronounce gli. Katie: And you’ll find all of today’s words along with the spelling in the show notes. 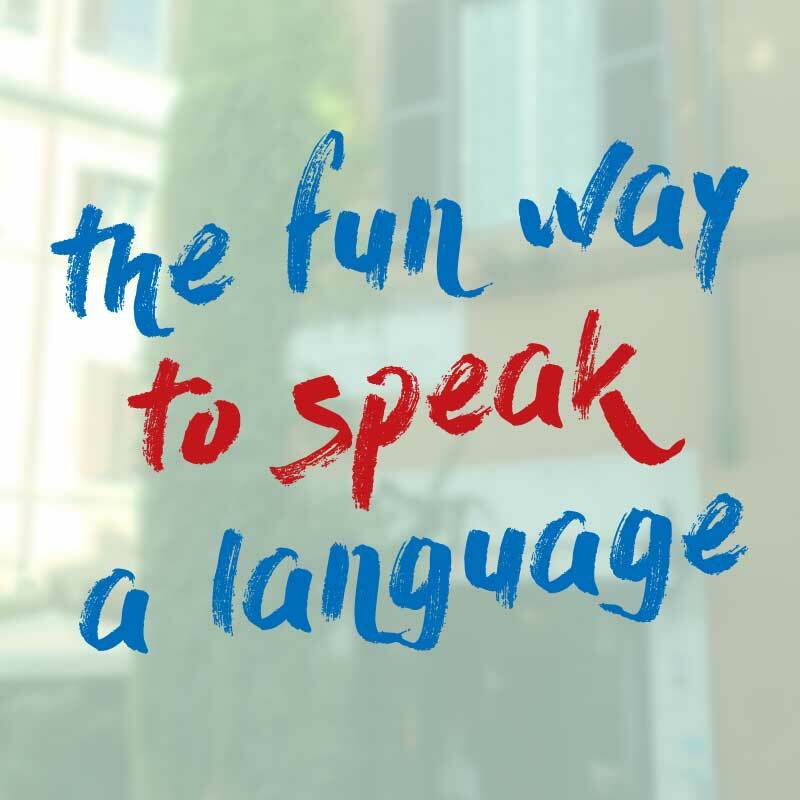 If you’d like to go into more depth and make sure you remember what you learnt in today’s lesson, head over to our website where you’ll find bonus materials including a quiz and flashcards – joyoflanguages.com/how-to-say-I-love-you-in-Italian (hyphen between each word). You’ll also find the link in the show notes. And finally, if you like the idea of learning Italian with music, there’s an Italian song by Vasco Rossi called “ti voglio bene”, which goes nicely with today’s episode, so you’ll find a link to that on our website.